Hey everyone! Hope this last Tuesday of March has treated you well. Let’s get this finished! 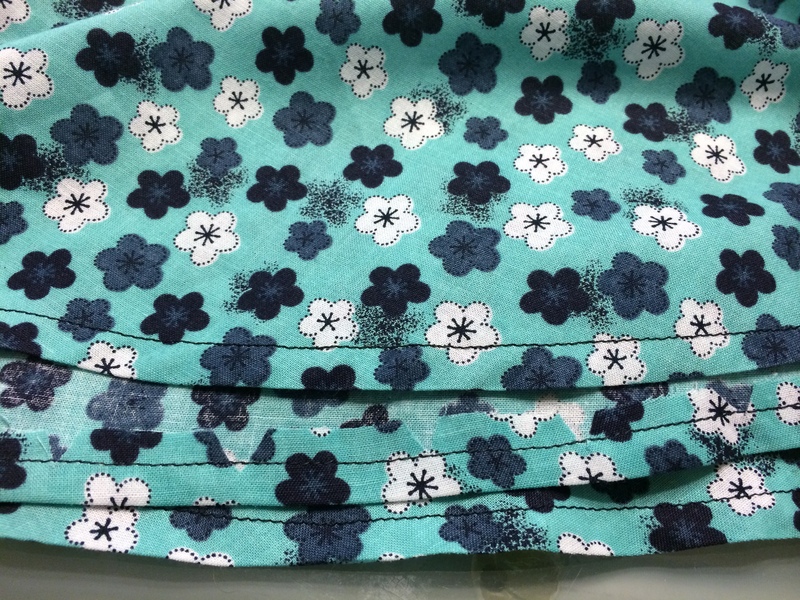 For a skirt waistband, you can use elastic or fabric and a zipper. 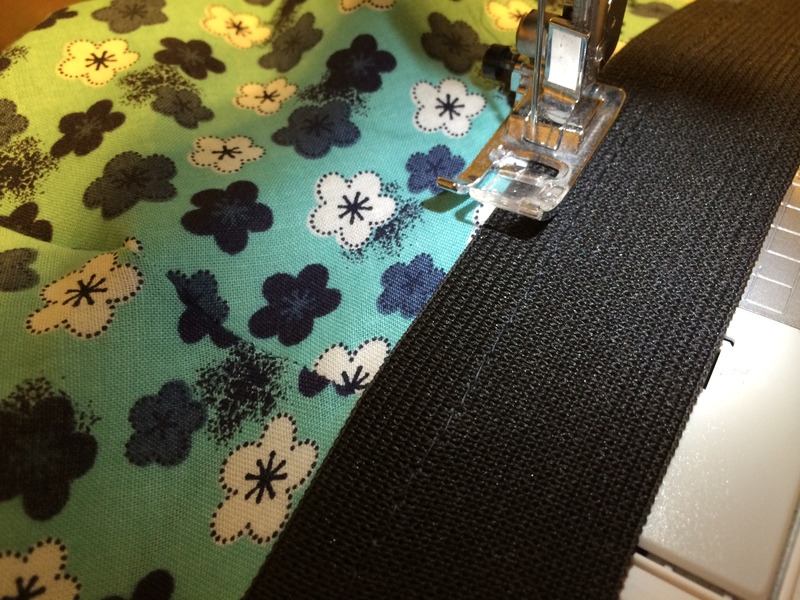 Since I have yet to make a proper waistband, today I’ll be using a 1 1/2 inch elastic in black that I purchased at Hancock Fabrics for under $2. When most people hear the word “elastic” your mind automatically goes to sweatpants, sleep pants and anything else you try to avoid wearing outside the house. Exposed elastic is okay:)! Don’t be intimidated. 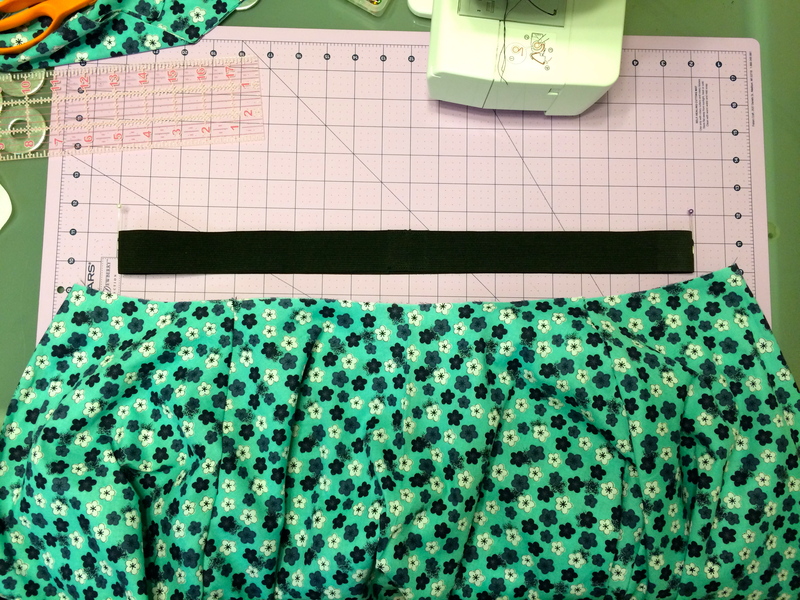 Measure your waist as precisely as possible and add an extra inch for the seam allowance. Fold elastic in half and sew together leaving an inch open at the ends. I folded and sewed the ends flat. The skirt is supposed to be bigger than the band so no fear! Everything is coming along nicely. 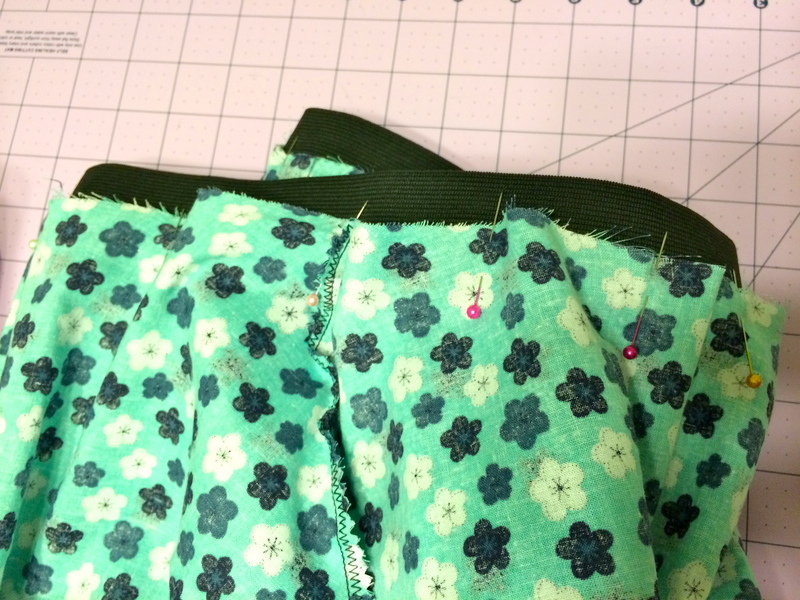 Start by pinning the middle of the waistband to the middle of the skirt on the front and back. Gently stretch the elastic and fabric, pinning as you go. Of course be careful when sewing over a pin. You can get hurt and easily break your needle (potentially hurting your eye…take caution). 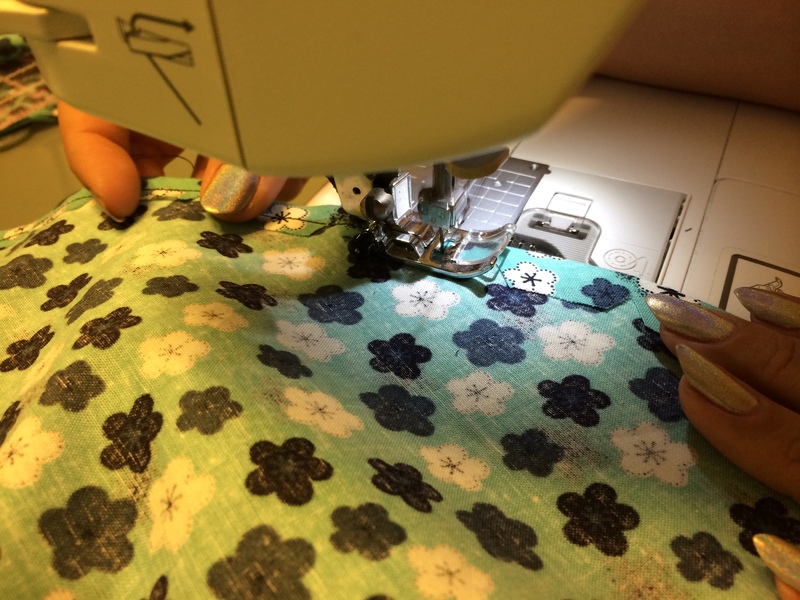 Holding the elastic taut, use the bottom of the waistband as a guideline and sew with a straight stitch. 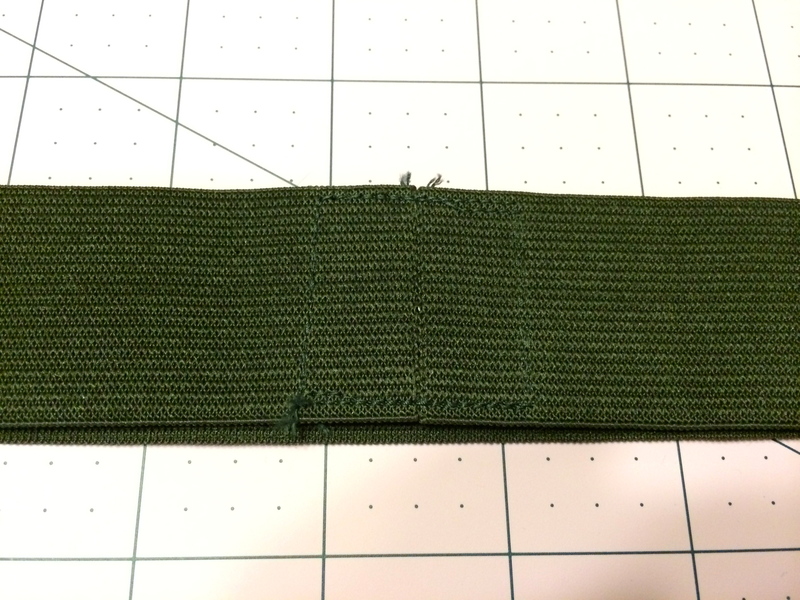 If you aren’t comfortable with elastic, you can use a basting stitch to sew the waistband on with the pins in and go back to use the straight stitch for finishing. Hemming time! Sounds more exciting than it is but the notching step I previously mentioned will help you get through it without trouble. If you feel the need to pin it down, do it! 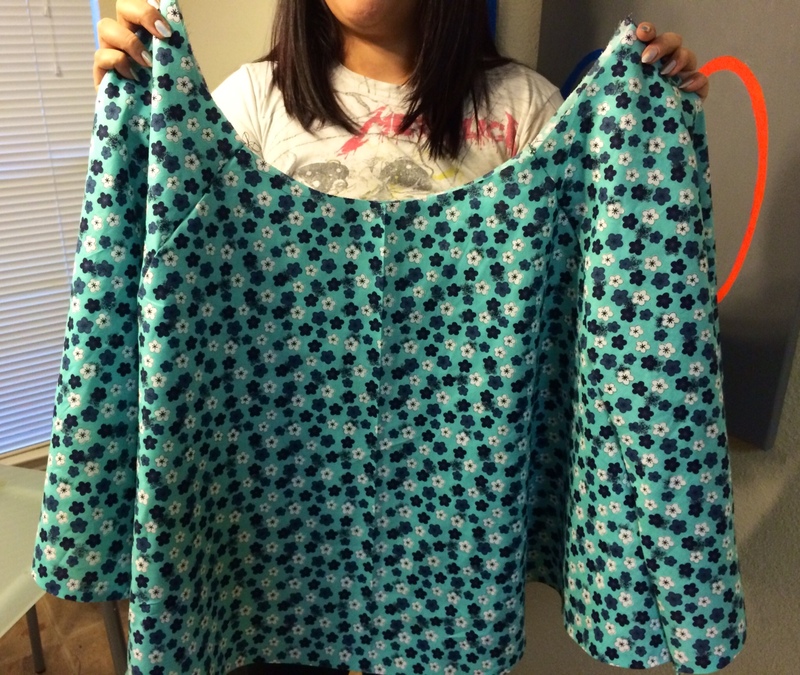 Sew along the perimeter of the skirt, trim the excess thread and TADA! New skirt to twirl in! That’s awesome! I could watch you spin until we BOTH get dizzy. That fabric worked well with the skirt. Perfect for the beginning of spring. Can’t wait to see more! Love the twirling GIF! Almost as cool as the skateboarding kitty GIF, and perfect to demonstrate how flexible the fabric. is.